You are at:Home»Featured»Is Indiana’s Debate the Precursor to a Forbidden God? No matter what side of the debate you find yourself on, the heated discussion surrounding Indiana’s recently passed religious freedom restoration act is infuriating. For those who honestly condemn bigotry it appears to be a discriminatory power grab, one that is nothing less than downright disheartening. For those who welcome the measure, they see a society growing hostile to any religion and genuinely fear an age in which the practice of their beliefs will be outlawed. The conflict seems to point toward the divisive dichotomy of religious freedom versus equality. Call me a cynic, but the discourse is so polarizing there appears little hope for mutual understanding and, even less, the possibility of anyone even attempting to truly understand how the “other side” feels. But how can we blame them? Not in several generations has this country ever seen a real fight for religious liberty. Sure, we’ve seen regulations at odds with Church teaching, court cases involving businesses forced to violate their beliefs, and tax-exempt statuses come into question. But these are not fights. These are closer to quibbles. Okay, referring historic U.S. Supreme Court cases and landmark federal legislation as ‘quibbles’ might seem absurd, but not in comparison to the true fights, nay battles, nay, bloody, gruesome brawls for religious freedom of the last century. Herein lies the heart of the problem. We, as a society, don’t understand what the true danger in eroding religious freedom is—on either side. Therefore, those who support the law find themselves frothing at the mouth at anyone who might disagree and those who oppose the law see no real danger, and therefore, find nothing but discrimination. That’s because few of us truly know what an attack on religious freedom really looks like. Conservatives have taken to shake their fists in the air, decrying that the “mainstream media” is “attacking” Christianity. Progressives, likewise, offer a “battle cry” against the law’s supporters, citing an “assault” on loving people, who simply wish to live their lives free of injustice in the form of discrimination. Both would do well to understand that true attacks on the human person often take the form of both discrimination and an assault on religious freedom. That’s when it becomes real—perhaps no more notably than with the epic civil unrest that led to the rise of Francisco Franco as Spain’s dictator. This was a clash over religious freedom drawing power from those who found themselves willfully discriminating just as an angry mob feeds off its own energy. In 2015, we call legislation an “attack”. We call refusal of service an “attack”. We call opinion editorials and boycotts “attacks”. Right or wrong. Justified or not, all of these things are simply not attacks. They are the expression of political disagreement and when carried out in a civil, respectful fashion, they offer the opportunity for positive discourse. But, attacks? No. There have been no guns, no properties set ablaze, and no martyrdom. Unlike the seminarians in 1930’s Spain, no one has had to choose between religious liberty and death by an unlawful militia. Not yet anyway. So what’s a fractioned society to do in order to get past this disagreement? Well, just as the hyperbolic culture of the New Millennium sees relatively benign political action as an attack, so can it see entertainment as a meaningful education, especially around the issue of religious liberty. That’s where independent film can offer a simple step toward a civil solution—by showing everyone what it’s really like when religious freedom is under attack and when people experience discrimination. Independent cinema has seen powerful films tackle both topics. 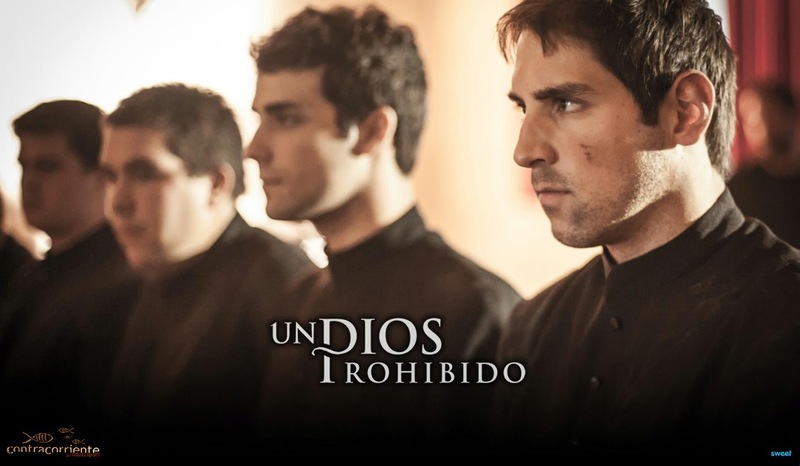 But none more so than the award-winning Un Dios Prohibido (Forbidden God) now en route to the United States at what couldn’t be a more perfect time. Forbidden God is being distributed later this year if it can finish the final leg of its financing campaign. As the name suggest, the full-length feature offers a vivid insight into the true attacks on the real people of Spain during a major upheaval just prior to the rise of Spain’s famed dictator, Francisco Franco. Beyond a period piece, in the tradition of For Greater Glory and the forthcoming Hidden Rebellion, Forbidden God shows us the real humanity of those individuals impacted by discrimination and real assaults on religious freedom. For those who feel strongly about what’s happening in Indiana, you need to see this film. The lessons of Forbidden God offer a telling moral that all of us watching the debate in Indiana should heed: When religious liberty is threatened, discrimination is not subdued, but rather empowered—not just for those of faith, but for all people. Religious freedom does not triumph at the expense of equality, but rather, the two must be fully protected in order to avoid bigotry and hatred within a culture. If you don’t believe it, just search “Claretian martyrs” or “Forbidden God”. You’ll learn their equality was stripped in the same instance their freedom to practice their religion was outlawed. At that point, no matter which side of the debate you find yourself, be thankful you’ve never witnessed an authentic attack on religious freedom. The author has it exactly wrong. When all of this come to a head, and it will, we’re going to wish for a Francisco Franco situation. There is no discrimination at play and there is no clash over liberties. That’s on the surface, that’s the political game. Underneath it all is the clash of religions, and civilization. This is Qnus- (queer nation of the united states), the western Isis counterpart and ally, on the move. Just as Isis wants to install Sharia law and enforce their state religion so does Qnus want to install surerear law and have the state enforce it as it already does now to an alarming level. This perverse, back to front movement is not satisfied and will never be satisfied with advances toward what they term “non-discrimination”. They know, as Islam knows that there is no co-existence with Christianity. Those who view this as anything else are just paying their infidel tax with the hopes that their head will be preserved. It will not be and it should not be.